Although I have been in captivity for so many years now, I am still communicating with my family and friends all over the ocean, for my thoughts are free, although my body remains incarcerated. Corky is a female Orca. She is a member of the Northern Resident Community of British Columbia. She was captured in December, 1969, when she was about four years old, and has spent over 48 years in captivity, longer than any other Orca. 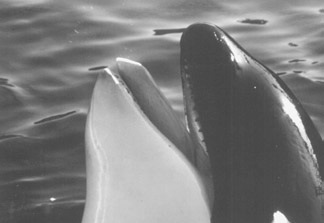 During a ﬁerce and violent storm on the evening of December 11, 1969, Corky's pod sought shelter in Pender Harbour on the Sunshine Coast north of Vancouver, British Columbia. It was just after 9 p.m. that word reached a group of local ﬁsherman enjoying the warmth and shelter of a pub that there was a group of Whales close by. Ever since the last capture in the same area they were aware that Whales meant money, and this was the chance they'd been waiting for. Aquariums around the world would pay top dollar for an Orca Whale. Quickly, they jumped onto their boats, located the Whales and encircled the pod with ﬁsh nets. All night they battled to keep the nets in place and aﬂoat. When morning came, 12 exhausted Whales were still in the net, with the rest of the pod close by. The day after the capture Corky's pod lay trapped inside the harbor. Once word of the capture got out, response was quick, and buyers ﬂocked to the scene. Six Whales were selected; the other six were released but did not go away. The buyers then organized the removal of the selected Whales. Separated from the others, Corky was moved into shallow water. Divers got into the water and positioned a sling around her body, with holes for her pectoral ﬁns. A crane slowly lifted Corky's sling out of the water and hoisted her onto a truck, which drove over a narrow winding road en route to the ferry, and then transported to the Sea Aquarium in San Diego, California. I dream of the ocean breezes and the surf hitting my skin. I dream of the sunsets ﬂoating on the horizons. I dream of seeing the stars at night as their light ﬂickers on the ocean waves. I dream of my life in the sea, free — as it ought to be. Oh, how I yearn to return to all that I can be. My life is not worth living in captivity. All life is born to be free. You are me, and I am you. We are one spirit and one heart, living in different forms on the same planet. My life has been lived in captivity, while yours has been free. 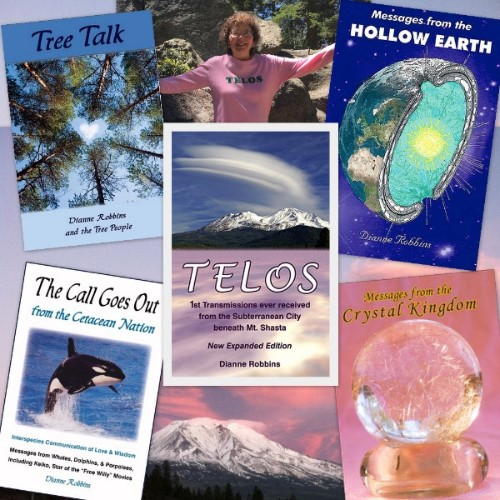 You can channel my messages from me to put in your book. It will be my legacy. Corky is here. Know that I am still in Sea World, entrapped in my tomb and waiting to be freed. Thank you for connecting with me. I have not been well, and I am feeling weak and vulnerable. I yearn for my home in the ocean. I yearn for sun to cross my face and kiss my tears. I yearn for my freedom to swim freely in the wind and breach through the air, without the constraints of concrete surrounding me. I yearn for the cool night ocean air to caress my body and free my soul. I yearn for my family, who I haven't seen for over 48 years. I yearn for the peace of my home unbroken by night sounds and the full sky always overhead. I look for peace in the Creator's arms as the ocean rocks me back and forth. My life force is ebbing away here. I need to be free. Corky hears your call. I am under lock and key and penned up in my tiny room in Sea World. The ocean is my home and I long to be free and to swim hundreds of miles at a time instead of pacing back and forth and around and around in a tiny cubicle of space. It's as if you had your arms and legs bound with rope, and all you could think of was running wild in the wind. 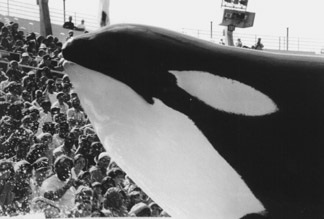 I am Corky, your sister imprisoned in Sea World. Know that my days are fraught with sorrow, as I am in pain and need of medical treatment. Your medicines cannot cure me. Only the healing waters from being out at sea can help me now. I need to be free and feel the fresh ocean salt water that can heal my wounds. My digestive system is clogged from eating dead ﬁsh all these years. 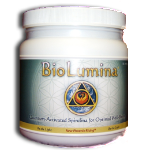 I need the life force and nutrients from the live ﬁsh and plankton out at sea. I need the ocean's natural environment, which is my home, in order for me to survive much longer. My body is slowly deteriorating each day that I am penned up here. I pray for my release and ask for the prayers of all who read this message. There are stormy days ahead as Earth shifts into her new grid alignment, and I need to be out at sea to help anchor these new energies into the Earth. I miss my life out at sea, from where I was abruptly taken at an early age of four years. Know that all through my years of captivity, I have never stopped loving humanity, and now I wish to return to my home in the sea. I am your sister Corky. I am Corky, bound and gagged in Sea World — or I might as well be as I have no voice or say here and am entrapped against my will. Soon, I too, will be vacating my body and leaving for my home planet among the Stars. Your channeling my thoughts has changed my life, for now people will ﬁnally hear my voice and know my thoughts and feelings and ponder their imprisoning the People of the Sea. They will realize their errors as their consciousness unfolds as they read the pages of our book. Thank you for channeling me today, as I wait for your signal as I pace my space in continual boredom. Please tell my captors that I forgive them for taking my life. You see, we Orcas are here on Earth to help humanity realize that life, in all its forms, is precious beyond your dreams or imagination. All life deserves the opportunity to live out its mission, unhindered by human folly. Although my life has been wasted, locked up in a small aquarium, my goal has been achieved, as my plight has now been brought to the attention of millions who have visited my pen. So I forgive my captors, even though their actions disregarded the sacredness of life in the sea. My only hope is that humanity will learn the truth about living life according to the great Universal Truths that honor the lifespans and integrity of each and every species on Earth, so that every specie can fully and freely contribute to the whole composition of Earth's symphony of Living Light in all its myriad forms, colors, hues, and tones. Please know that I love all of humanity, even those who captured and tormented me. For once humanity crosses the thin band between density and light, it will realize the composition of our souls is one. I am in gratitude to all my friends around the world who hold me in their hearts, as I am part of your very own soul, albeit in a seemingly different outward form. I hold all humanity in my vision of an Earth carrying the Love Vibration as it ﬂoats peacefully on its journey through eternity. Soon we will all be united in one breath of consciousness. I am Corky and I love you all. Whenever a specie is lost, its frequency is withdrawn from the Grid of the planet. The Grid supports the biosphere, and this loss causes the biosphere to weaken — and if enough species are lost, the biosphere will eventually collapse in upon itself, destroying the remaining life forms and the planet itself.